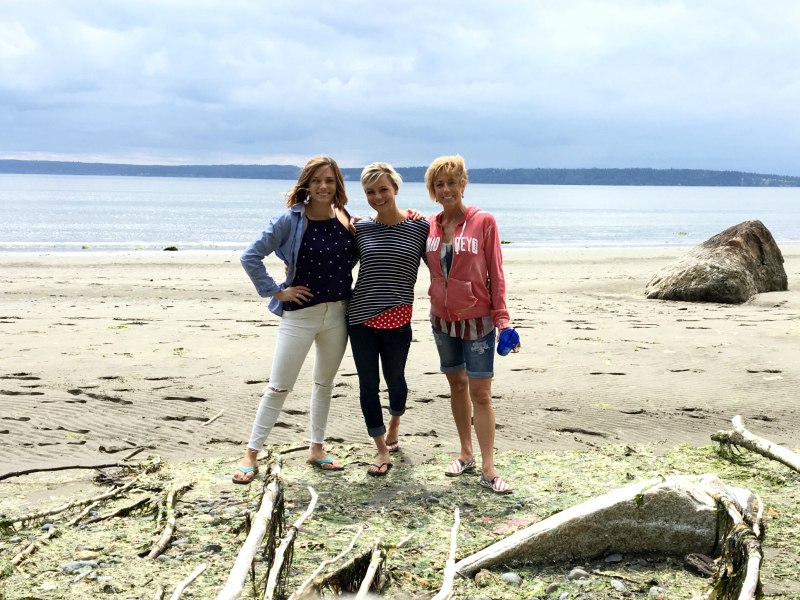 We couldn't miss spending the 4th of July at my lifetime favorite getaway spot, Whidbey Island--we just couldn't! So Daniel and I packed up our things and headed West to spend some quality time with my family and the place my heart calls home. We sure moved a lot over the years, but Whidbey was where I grew up each summer... and the memories we've made there over the last 30 years are what keep me coming back. That and the family, the beach, the food, the agates, the fun times, etc. You get the picture. 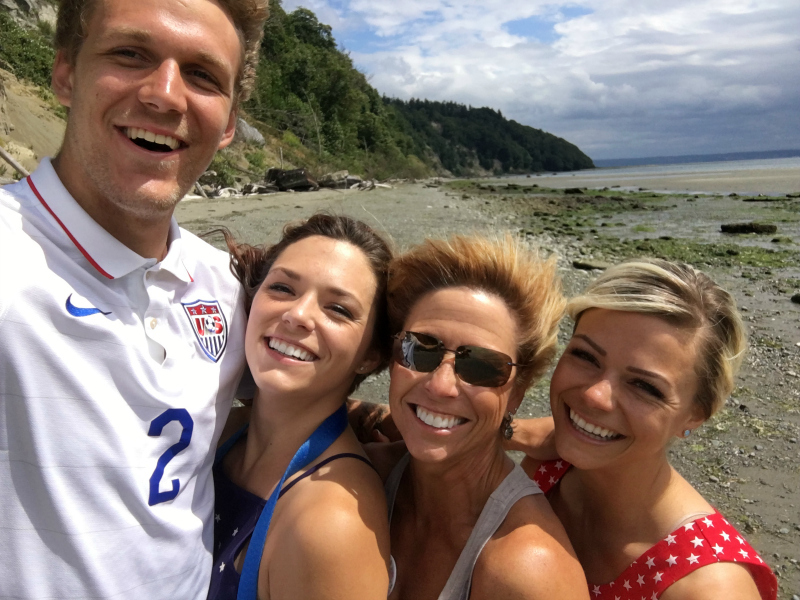 Every year, the 4th is a special time for our family. It's the one time that almost all of the family ends up getting together down on the beach and it's like a big reunion. Some years everyone is there, and other years it's just a few of us. Either way the fourth is a Stone Family reunion. We ended up spending the first half of our trip on Whidbey Island with my mom's parents and her siblings. Even though we only see them about once a year, it always feels like we pick up right where we left off. We also traveled the island, eating at our favorite pizza spot, Village Pizzeria, tried some new places in Coupeville (Kapaws Iskreme in Coupeville is our new go-to! ), went for several beach walks, and shared lots of stories around the table. The second half of our trip was spent in Seattle with my sister, her husband, and my dad's mom. We really enjoy spending time with Grandma because it's very quality one-on-one time. We especially love to hear her old stories from when she first came to America! One of my favorite experiences from this trip was sitting around the table at my sister's house, sipping on cider and playing Heads Up! with her and her husband. We really got into it! I wish we lived closer so we could have more fun times like that. See pictures from our amazing trip to the Puget Sound below. Hanging out with my sister and her new pup Tony at the Maxwelton Day parade. Our family goes all out when it comes to dressing for the 4th. We're like a red, white and blue party. My Nanny has attended every Maxwelton Day parade for years and years and years. She has the most parade buttons of anyone up there! Taking a beach walk with my mom and sister. Hunting for agates is our all-time favorite pastime. We're wondering how my brother got so tall. Goodness gracious! The Driflot side of the family. Some old, some new... all a big, happy family! Enjoying cups of cupcakes topped with whipped cream while we sat by the fire watching the sun set. The fireworks were about to begin! 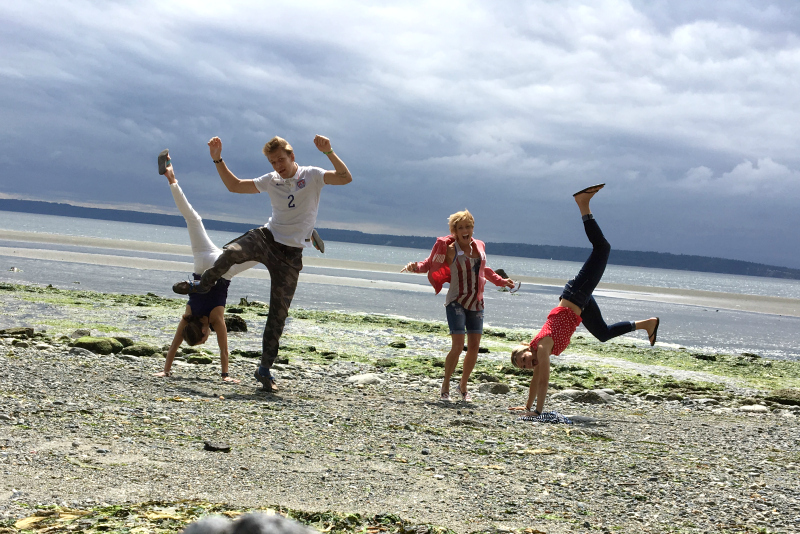 Family jumping photo at our favorite backyard on all of Whidbey. The memories made there will last a lifetime! Daniel and I had a pretty darn good agate haul after our walk over at Ebey Beach. Our agate collection is growing! Enjoying some fine Seattle seafood with my Grandma at Ray's Boathouse. I'm so grateful for her! Those smiles can only mean one thing... happy. together. family. To be honest, I don't know if it's Whidbey that makes my heart so full or the time spent with family. But the combination of the two--that's what truly does it. They say there's no place like home. For us, there's no place like Whidbey.